The 45th American presidential elections was held on Tuesday (November 8) and i'm sure by now you know who won. The result continues to get mixed reactions from Americans and people with similar interest all over the world, but we're not here to talk politics. 8 years ago, Obama won the presidential elections to become the first black president of America. To mark the historical achievement, Jeezy recorded a song dedicated to him titled My President featuring Nas. The song went on to be a monster hit and was remixed by a handful of artists including Jay Z.
Trump is the president elect but at the moment Obama still remains the president of America (till January at least). Trump's victory has brought about sadness and uncertainty but Obamas brought about liberation and hope (huge contrast between the two). 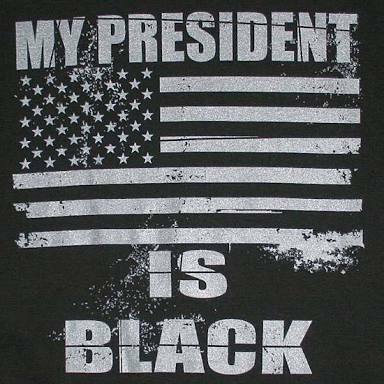 One last time.. My president is Black. Relive Barrack Obama's presidential victory below. "My President" is off Jeezy's The Recession album. We will bring this back again when Barrack Obama finally leaves office.